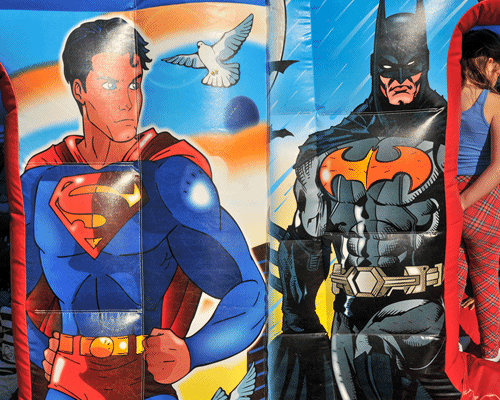 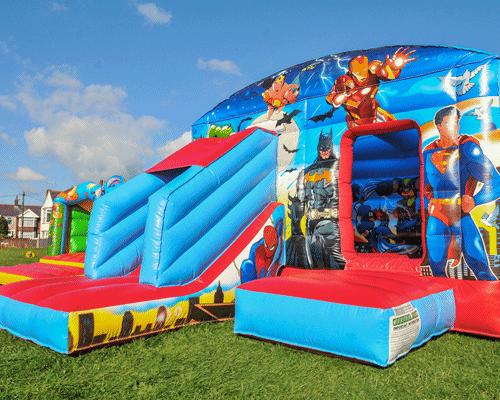 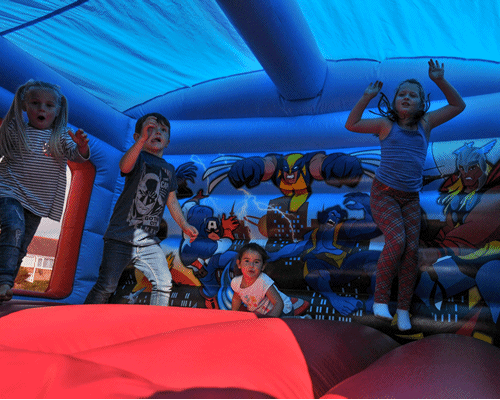 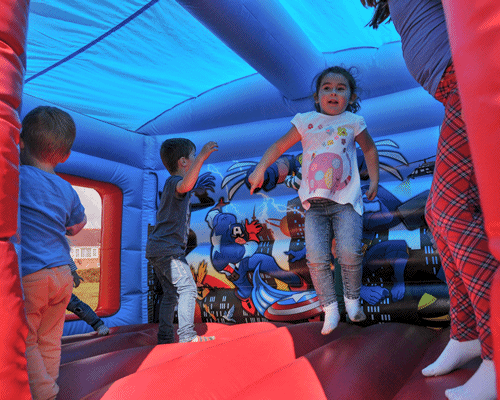 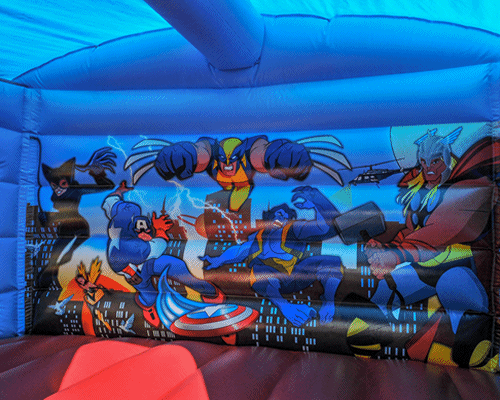 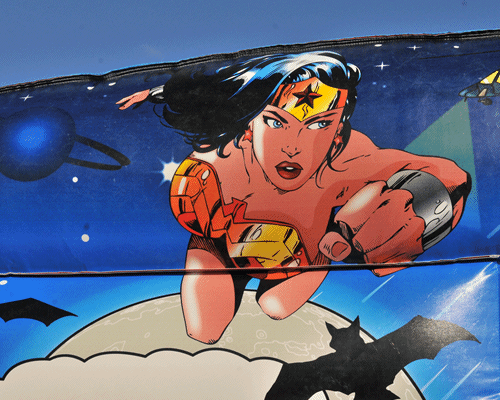 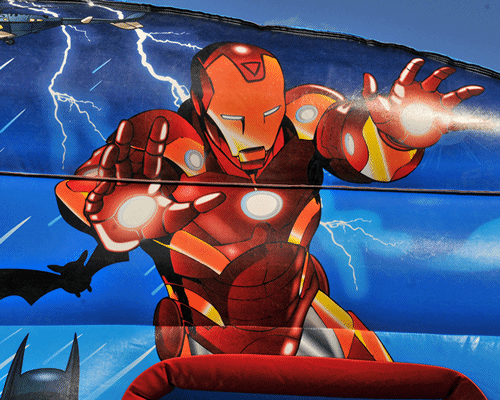 Brand New for 2017 the superhero bouncehouse one of our best castles yet, the castle has an enclosed bouncing area a view window to keep an eye on the kids and some top quality artwork of all your favourite super heroes. 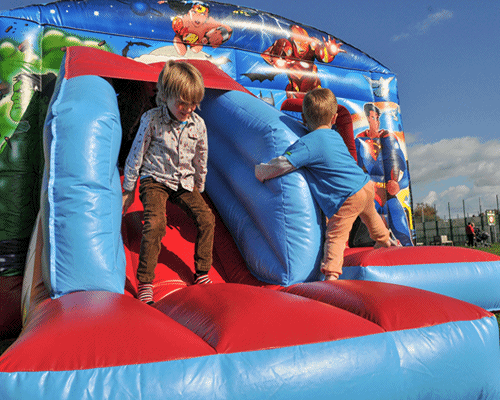 Hired a bouncy castle last minute for party and the service, bouncy castle and communication was simply 5*. 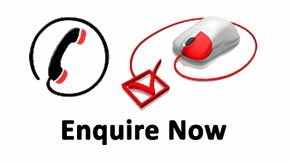 Thanks again will use your company every time in the future - cannot recommend enough.